If you follow this blog, you know we’re investing heavily in moving our customers to the Cloud at Kronos. 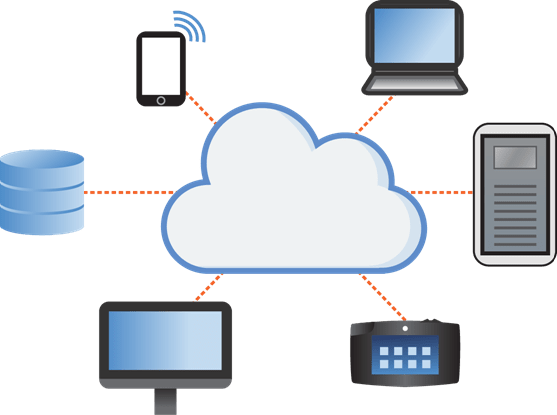 And not just Cloud, but smartphones, tablets and snazzy time clocks that take advantage of the growing consumer preference for always on information technology and connectedness. That transformation from product provider to service provider is huge – moving from intermittent contact with your customers to an always on service delivery machine requires changes in every aspect of our business. We need to anticipate and head off problems that might interrupt customer service. And we’re connecting a lot more of our employees more directly to our customers’ experience as we create new jobs to support this transformation. I spoke to a group of leaders last week about how to think about changes we’re driving with a customer-first point of view. These are all senior leaders with plenty of technology development and delivery experience. And all agree that the Cloud is different and drives us to up our game. How to evaluate how cloud fits into an organization’s existing business strategy. You can listen to a podcast of our conversation here: Bob Clements and Sue Meisinger Discuss Cloud Strategy for HR Leaders. What does that Cloud look like to you? Next Next post: Are you as creative on the job as your excuses for playing hooky?